They are the rudiments of achievement in any field of activity. These words are no doubt used liberally among management personnel, but few really understand, much less put them into actual practice. And the use of incentives can in no way substitute the fundamental principles governing production and success. The first discipline is “Concentration”. Concentration is when your mind is with your action. The mind has a natural tendency to worry over past and future. As a human when we can develop strong intellect to focus on our present, that’s when we can concentrate. It is measured by the extent to which the intellect manages to hold the mind in the present. The second discipline is “Consistency”. Consistency is the skill of directing your actions towards the ideal goal, set to achieve. It is impaired by the ramblings of the mind. As we work towards the goal the mind slips into other attractions and the action do not flow in the direction of the set goal. When your intellect channelizes actions in the set direction, you gain consistency. 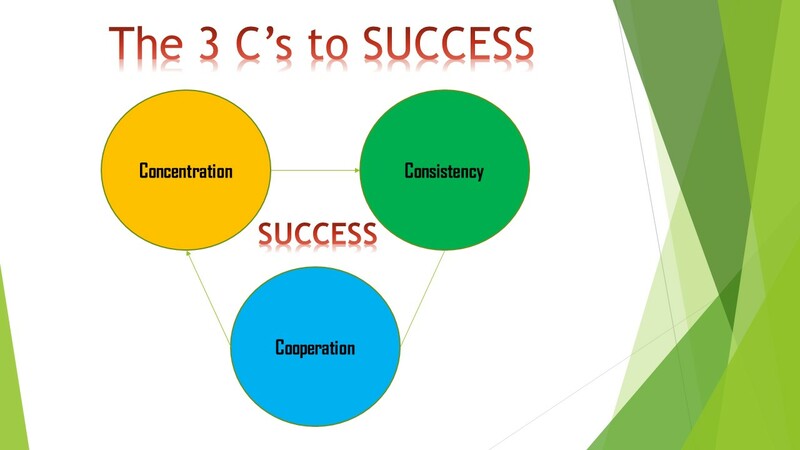 The third discipline is “Cooperation”. To achieve an objective, you need cooperation of others. It is difficult to be an achiever in life without the spirit of cooperative endeavour. The third essential requirement for success is met when the intellect maintains a true spirit of cooperation among one and all concerned. An individual or organisation following the above three disciplines shall command success and productivity, progress and peace in any field of endeavour.